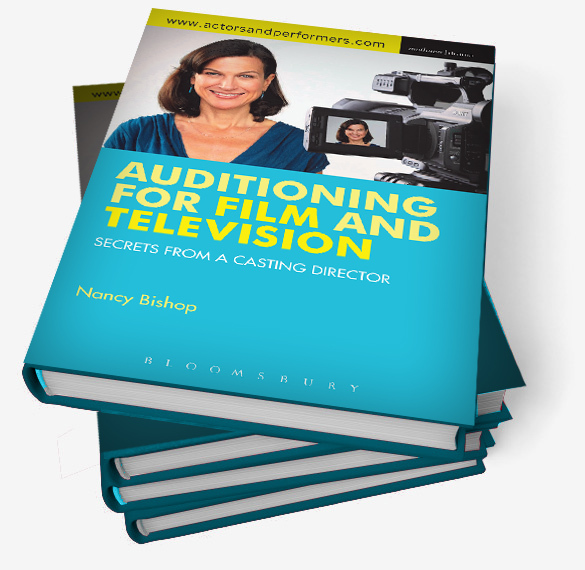 A practical workbook written from a casting director’s point of view, Auditioning for Film and Television teaches film actors the craft of auditioning in front of the camera. It shows actors how to use today’s internet technologies to advance their careers and features success strategies and actual exercises to achieve results in the casting studio. A new edition of the popular Secrets from the Casting Couch, and now including video, Auditioning for Film and Television includes commentary, analysis and questions in workbook form for scenes from many celebrated films; online video tutorials; exercises for actors to practise in front of a camera; and advice on career advancement and marketing in the age of social media. Nancy Bishop CSA is an Emmy Award-nominated casting director who has cast supporting talent on over sixty projects. Her credits include major studio pictures such as Wanted, Alien Vs. Predator, Hellboy, Eurotrip and Prince Caspian, as well as TV series such as Revelations, Charles II and Anne Frank. She has worked with such major directors as Roman Polanski and Joel Schumacher, and legendary producers such as Steven Spielberg and Jackie Chan. Nancy teaches her proven film acting technique at masterclasses throughout Europe and the US. She is also Head of Acting for Film at the Prague Film School. Related articles with advice to actors from European Casting Directors.